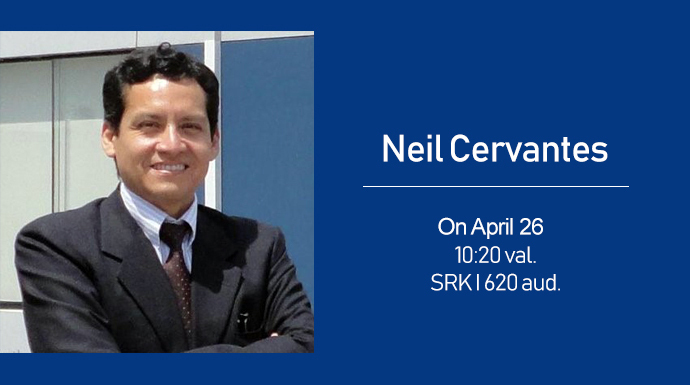 On 26 April at 10:20, the auditorium SRK I – 620, Department of Economics Engineering invitation will be lecture, which will read academic Neil Cervantes from University of San Ignacio de Loyola, Lima, Peru. He has more than 16 years academic experience at universities in Lima, Peru and 25 years at analyst, business and managerial positions in Peruvian and international private companies, besides the Peruvian government. The title of lecture is: “Peru - heritage for the world: history, tourism and foods”.